Note: This document is obsolete and relates to an earlier open source version of the plugin which is no longer supported. Please see the home page for up to date information about this product. Visual Studio developers no longer need to use the Arduino Ide. Instead, we can code and upload to any Arduino microprocessor using Visual Studio. Some of the documentation on this site might still refer to the previous version. 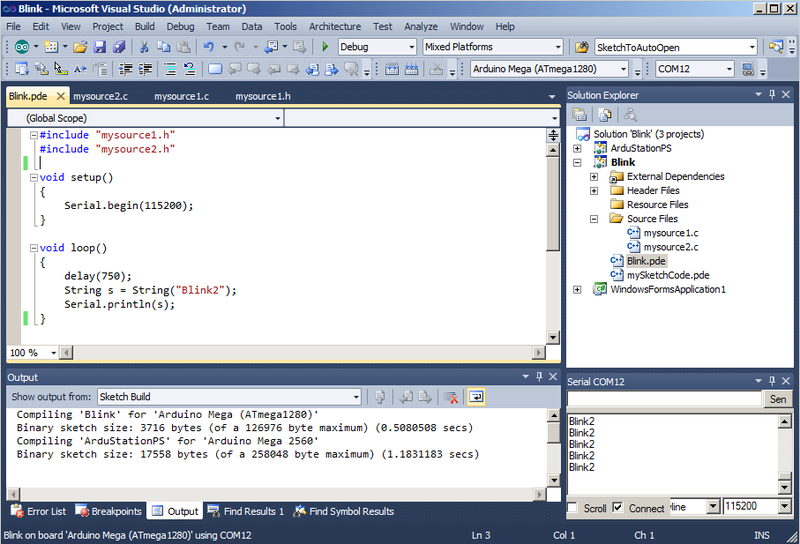 The latest version as of October 2011 should need less documenting because the application is more intuitive. Existing users should remove or disable their current Visual Micro addin from Visual Studio. Uninstalling the previous Visual Micro addin from windows is also recommended. Some of you will be pleased to know that the new installer/uninstaller configures Visual Studio automatically. Thanks to the people at Arduino for making their source code open and to Jeffery Sun for providing the basis of a new installer. Thanks to oVo for his previous documentation and icon suggestions. 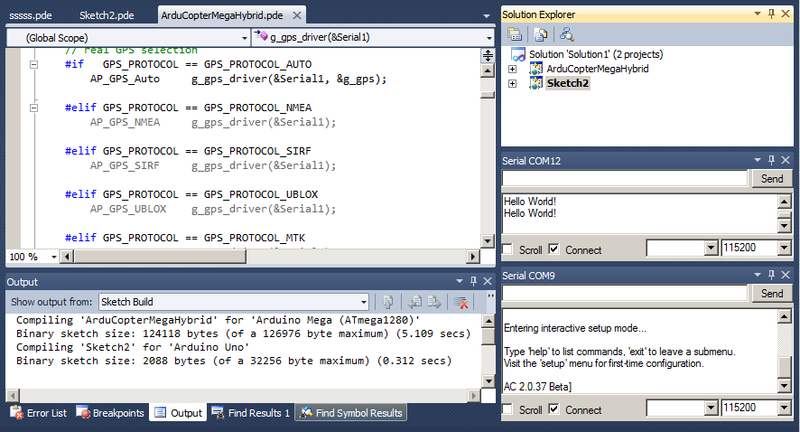 The compile and upload are now coded using identical methods to the Arduino development system. This means that resulting sketch programs are identical and that any errors encountered during compile will match the errors emitted by the Arduino development system. The project structure and intellisense are entirely separate to the compiler methods. The _vsaddin folder used by the earlier product version is removed and replaced by a single . [sketchname].arduino.h that is automatically included in all Arduino projects. By default, _Core and _Lib files are not shown in projects allowing the Visual Studio "Find & Replace" to be used within an Arduino project (be carefull!). The Visual Studio "Project" menu contains a new command called "Show All Arduino Files". When selected the _Core and _Libs folders will appear containing all additional Arduino files. New users should NOT use this option. You will find "New Arduino project" on the Visual Studio "File" menu, "Standard" tool bar and "Solution" menu (right click solution in solution explorer). Using these commands ensures sketches are created under the Arduino sketch folder. Existing user note! The old visual micro tool bar might be hanging around but empty. Feel free to delete it!